UK dance group Above & Beyond recently released a new acoustic performance of ‘Sun & Moon’. The video is taken from their forthcoming ‘Above & Beyond Acoustic’ concert film, which will premiere on Friday January 24 on Vice's THUMP channel. 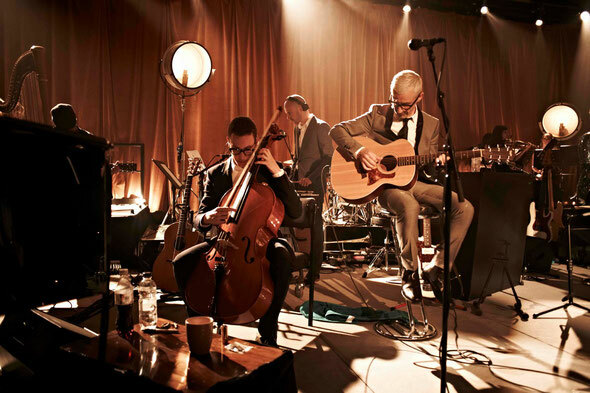 For the film, Above & Beyond performed some of their best-loved songs acoustically as part of a 15-piece band, across four sold out shows at London's famous Porchester Hall - showcasing the group’s musicianship and songwriting. The biggest hit from A&B's ‘Group Therapy’ album, ‘Sun & Moon’ has been sung by thousands at festivals and arenas the world over. Telling the story of a fracturing love affair and the pain and release of a couple's break-up, this club track has been re-imagined in acoustic form and will feature on the album ‘Above & Beyond Acoustic’, which is due out on January 28 on Anjunabeats/Ultra Music. Check the video out below.